The 1970 Vega Sicilia Único ($1,243.65) is a red wine made by Vega Sicilia from the region of Ribera del Duero made of tinto fino and cabernet sauvignon of 1970 and has an alcoholic content of 13%. 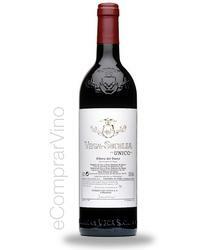 The 1970 Vega Sicilia Único is the ideal red to combine with foie and bar-b-q. Uvinum users evaluate this red wine with 4 out of 5 points. - Nose: The nose is intense and complex, showing a wide range of shades, black fruit, jams, coffee, well emsambladas with fine notes of wood and soft. WINEMAKING: malolactic fermentation in large tanks where it remained for 5 years. AGING: 10 years in cask. 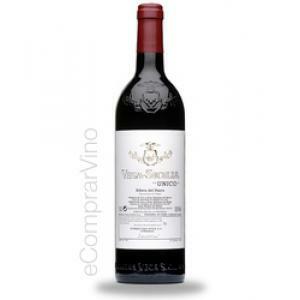 If you want to buy 1970 Vega Sicilia Único, at Uvinum you will find the best prices for Ribera del Duero red wine. Purchase it at Uvinum at the best price, easy, quick and safe. We're the only site in Europe with more than 59.000 products for sale becoming this way the biggest online shop to sell wine, beer, and spirits in Europe thanks to more than 38.000 customers enjoying Uvinum.